We always visited Layan Beach for a nice walk and a thai lunch at the small cafe there. I visited recently and stayed 10 mins. The noise from the music at Nikki was just too loud. How can this stay, yet the Lotus for a quiet beer looking at the sunset or in Greefleaf is not ! The whole club is an annoyance at the former so beautiful Layan Beach. Those responsible respect in no way that many beach goers feel bothered by the loud music. I complained several times and have asked them to lower the music to a tolerable level. In vain! Does any reader know how to make a complaint about the noise pollution? I would love to but don't know who to address my complaint to. They should never have allowed this monstrosity to be built where it is anyway, right next to a National Park and on one of Phuket's last quiet and semi-natural beaches. 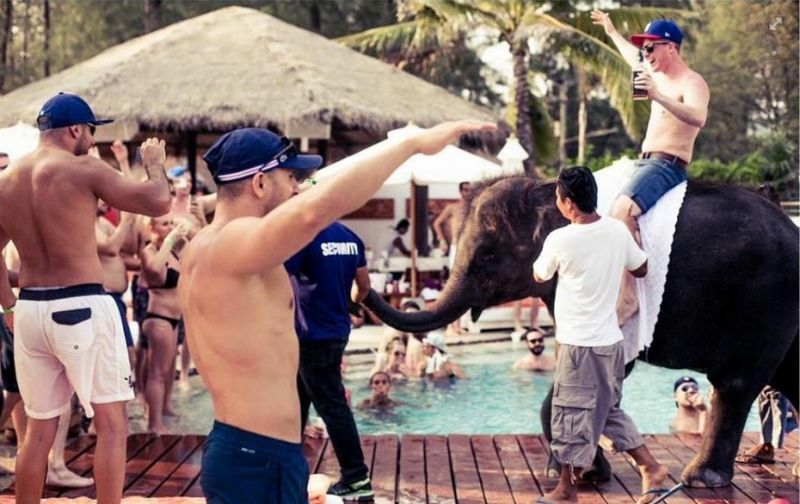 The place is a disgrace and proof that Phuket's authorities are utterly useless. 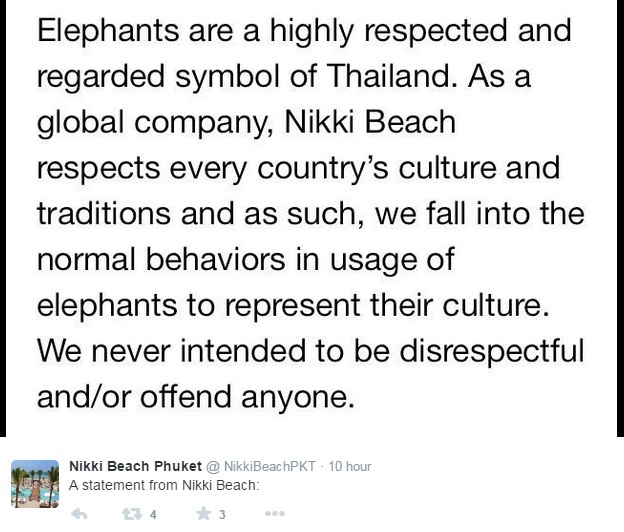 These pictures only serve to show the type of customers that Nikki Beach Club is aiming at: tasteless, brainless and culturally illiterate. One only has to look at the monstrosity they built right next door to the National Park Office and hear the music from 300m away to realise that this awful place and its customers do not give a damn for the environment. 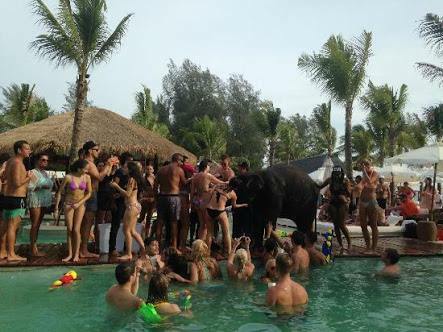 Quite clearly Nikki Beach show as much concern for elephants welfare as they show for the environment - none. The place is an eyesore and the loud music shatters the peace and tranquility of a beautiful National Park. 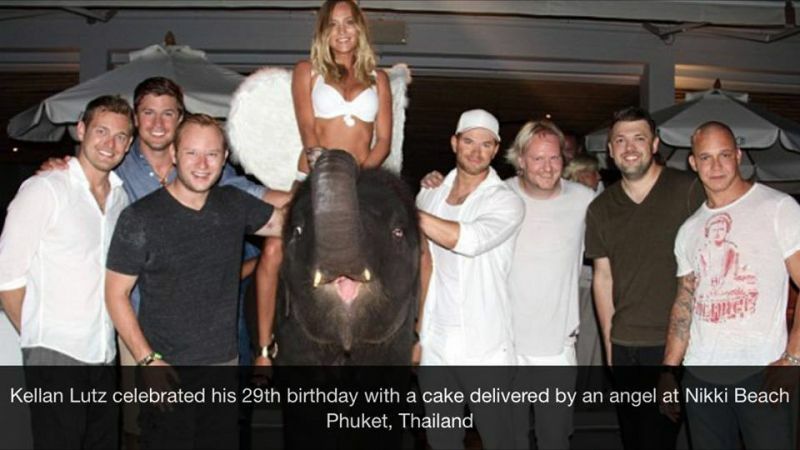 Elephants were used to help build Thailand and were a respected Animal, today they are kept like rats in a cage and used for only making money. 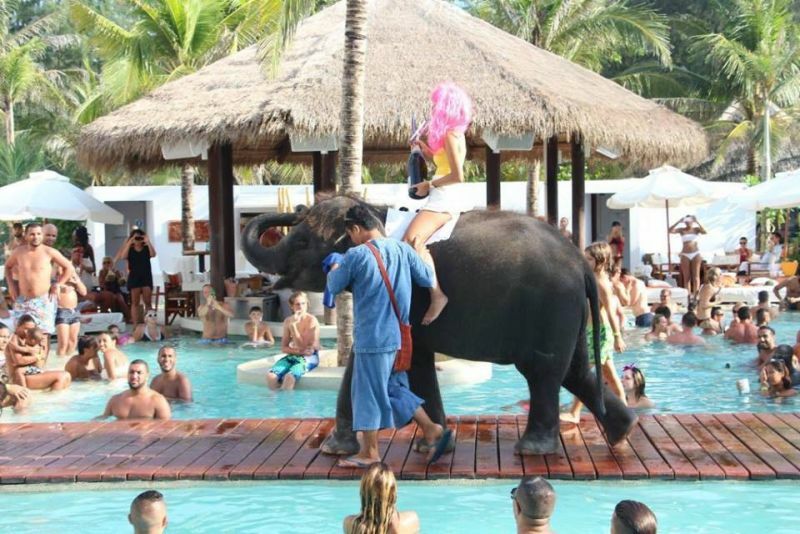 People act like idiots and have no respect for the animal or as to why it is a respected animal.